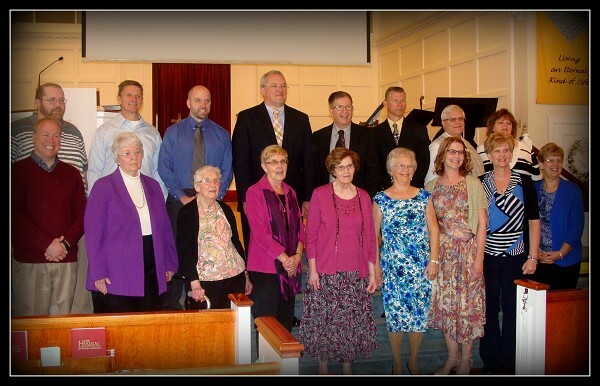 April 26th was a special worship service at Champion Presbyterian Church. The occasion commemorated the 175th Anniversary of the church's becoming chartered. Among those present in the sanctuary was Jenny McCombs, a many-great granddaughter of the Rev. William McCombs - who served the church as its very first pastor from 1839 to 1848. Delivering the Anniversary Message during worship was Rev. Robert Kantner, Jr. whose father was pastor of the church from 1976 until 1988. Also participating in the service were Rev. Paul Gaug, former pastor (1991-2007) and Rev. Marty Sweeney who led the Childrens' Message and related what it was like growing up as a child in the church. The William Rutan family were the first permanent settlers in Champion - coming from Pennsylvania in 1806; living along the banks of the Mahoning River. 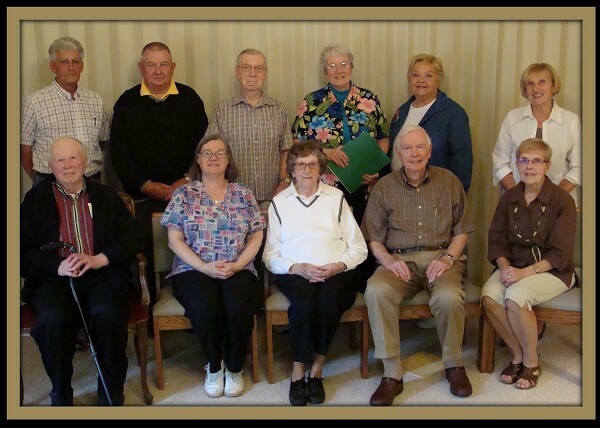 Some twenty years later there were about four families living in Champion Township. They were the Rutans, the Donaldsons, the Woodrows, and the Chambers. Two years later, the Pierce family arrive from Armstrong County Pennsylvania. From there, the township started to grow in population. 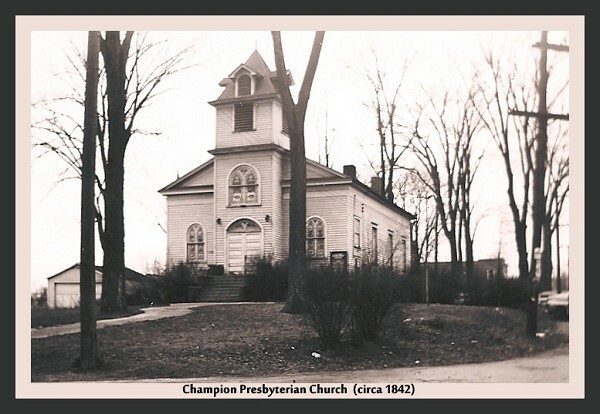 Recognizing the need for a church, the residents of Champion Township applied to the Beaver Presbytery for the maintenance of their connection with the church of their choice ....... and so, it began. 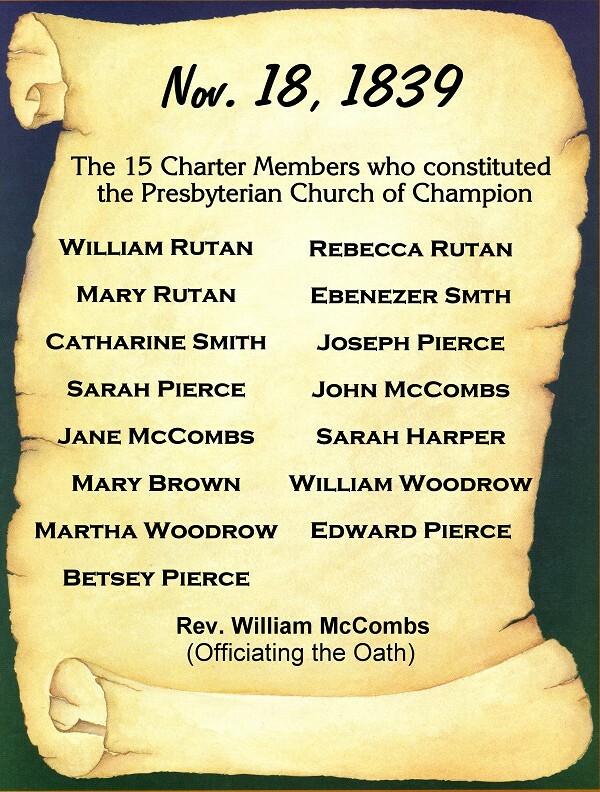 In 1838, William Rutan was sent to the Presbytery in Slippery Rock to present our case and to obtain advice. 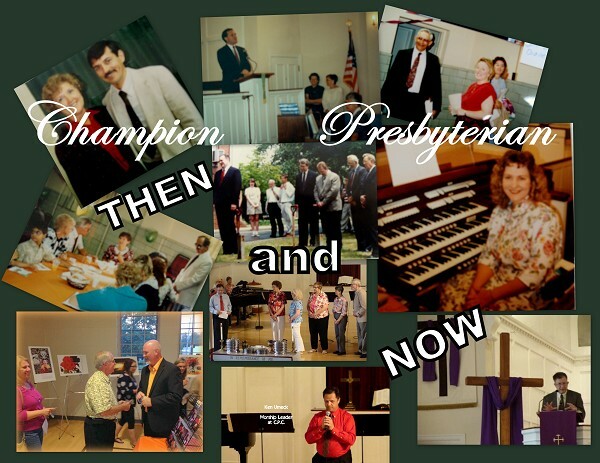 The Presbytery appointed Rev. William O. Stratton to preach and to ascertain the views of the people as to their situation. It wasn't until 1839 when William Woodrow presented the petition for organization and thus, our humble beginning. In 1842, on land donated by the Rutan family (still the present site), the small congregation erected the first wooden structure set on stones. There were two side doors and a pulpit in the front. In 1901 or 1902, the original building was raised up and new stone walls were built underneath the structure. The basement was added in 1924. 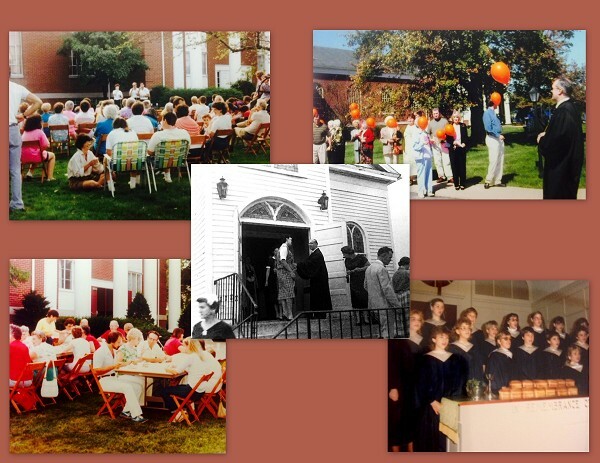 Down through the years, keeping abreast with both community and church membership growth, there were many addition to the facility. People came and went during these times. The church membership grew to its peak of 1466 in 1968. Candid Moments (from an earlier time)!